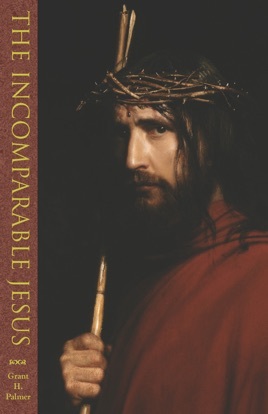 Distilled from his personal experiences in teaching Jesus to the hard-to-reach, this professional educator has produced a tender testament to the incomparable Jesus. It describes a Savior who walked with him through the halls of the county jail where he served as chaplain, succoring those in need. In this slim volume, Palmer sensitively shares his understanding of what it means to know Jesus by doing his works. He lists the qualities of divine character attested to by the Apostles Peter and Paul, and also those that Jesus revealed about himself in his masterful Sermon on the Mount, particularly in the beatitudes. With reverence Palmer shares personal spiritual experiences that were life-changing assurances of Jesus’s love for him—a love poured out unstintingly in equally life-changing blessings on prisoners whose crimes had not stopped short of sexual abuse and murder. Reading this book offers a deeper understanding of the Savior’s mercy, a stronger sense of his love, and a deeper commitment to follow him. Grant Palmer closed his thirty-four-year career teaching for the LDS Church Educational System with the final thirteen years as a chaplain and LDS Institute director at the Salt Lake County Jail. I enjoyed the book and learned some new things or insights into Jesus. I especially liked the application of the atonement in the author's personal work. I was disappointed that the LDS author made little use of The Book of Mormon, which teaches so much and gives great understanding of Jesus.